SANTA ANA, Calif. -- In an Orange County courthouse for the sentencing of Ashton Sachs, 22, for the brutal 2014 murder of his parents and the attempted murder of two of his siblings, Judge Gregg Prickett made it clear that "throw the book at him" is more than just an expression. Sachs would have to live at least four life times at which point he would still be facing more than 100 additional years in prison to fulfill Prickett's sentence of four consecutive life terms with additional penalties for enhancements. Sachs remained somber throughout the proceedings acting as his own counsel saying nothing more than periodic affirmations, "Yes, your honor." None of Ashton's four surviving siblings attended the hearing --and only one aunt, his father's sister, Lisa McGowan, spoke. "Every time I hear Elton John, I think of Brad (Sachs) teaching me to play guitar. When I hear Billy Idol I remember dancing at his wedding," McGowan explained to Ashton as she recounted the pain of losing her brother, Ashton's father – a music enthusiast and a successful technology entrepreneur. He entered his family's million dollar, ocean-view mansion from an unlocked garage door quietly climbing the stairs of the home undetected. He riddled his parents, Brad, 57, and Andra Sachs, 54, with bullets as they slept peacefully in the bed of their seaside mansion on Peppertree Bend in tony San Juan Capistrano, Calif. Prosecutor Mike Murray warned the Judge, "The defendant is a sociopath. He has no remorse, no empathy. All he cares about is himself. He is a manipulator." Judge Prickett explained to the court how he carefully weighed his sentencing decision with the law and the facts, highlighting the shameless brutality of Sachs' actions – pointing out that he shot his father 10 times including in the face, and his mother 12 times. Then Prickett acknowledged how Ashton needlessly shot his brother, an "innocent 8-year-old child in his sleep," and similarly fired a shot at his sleeping younger sister who was unharmed. Ashton Sachs: "I just started shooting"
At Friday's hearing a representative read a prepared statement from Ashton's brother Myles Sachs which thanked police and prosecutors but completely ignored addressing Ashton or his actions. At the beginning of this statement was the only time Ashton seemed for a moment that he had to contain himself from an emotional outbreak. Ashton's aunt, McGowan the sister of Brad Sachs, challenged Ashton in her victim impact statement. She told Ashton that she held him responsible for his choices. Sachs gazed at McGowan as she spoke, his eyes reddening initially as she addressed him directly. McGowan demanded Ashton consider the consequences of his younger brother Landon's plight explaining how the doctors presented a grim prognosis of suffering for the life of a paralyzed youth. McGowan chided Ashton for the gall and hypocrisy to speak at his parents' funeral days after the murder at which time he was not a suspect. "He really pulled the wool over everybody's eyes," case agent Justin Montano, the Orange County Sheriffs Department (OCSD) Investigator who was responsible for the murder investigation told CBS News in an interview. At the funeral, Ashton cried and professed his love for both Andra and Brad. OCSD Investigators first saw the funeral tape on the "48 Hours" broadcast in Oct. 2015. "I couldn't even remember," Ashton answered. "It was just a rush… I was not myself. I don't know. I was something twisted." Initial speculation was that Ashton murdered his parents to inherit their millions. Two of Ashton's aunts, his mother Andra's sisters, alleged that Ashton had been fascinated by the Menendez brothers' murders -- a high-profile 1989 Beverly Hills case where two brothers murdered their parents and went on a spending spree with their parents' fortune. However, the OCSD detectives don't think money was the primary motive in the Sachs case. Instead, they say that during that police interview Ashton explains he was jealous for his parent's love and felt rejected by them. "I think it was revenge for his sense of being slighted by the family," Montano's partner, Investigator Mike Thompson told CBS News in an interview. 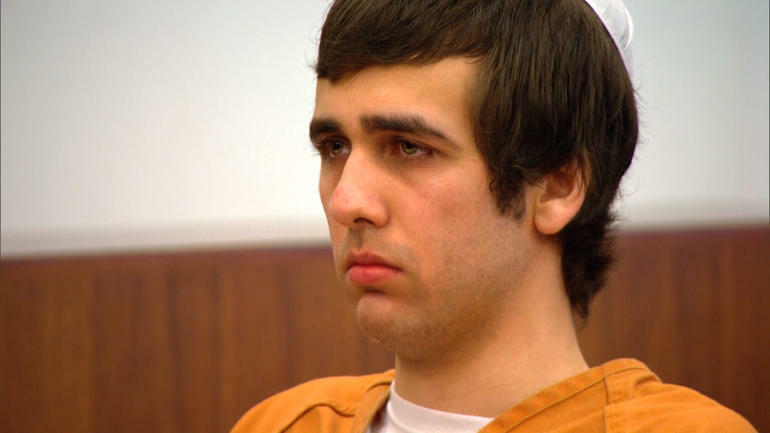 "When you look into it and peel the onion of this case, it comes down to his resentment of his parents, his resentment of his brothers, and … that's what drove him to commit these murders," Investigator Montano told CBS News. Sachs sat at his sentencing wearing a white yarmulke, the Jewish religious skullcap. White yarmulke's are traditional for the Jewish holiday Yom Kippur or the Day of Atonement which occurred two days prior to the hearing – the day when Jews ask God for forgiveness of their sins. In court Sachs asked for nothing, not forgiveness from his family members, nor mercy from the Judge. Sachs declined the Judge's offer to comment. If Ashton's white yarmulke was truly a symbol of his gesture for atonement, then his Aunt, McGowan, concluded her remarks with a response. "I am told by friends and family to forgive you… Here's my choice: I can't forgive you."